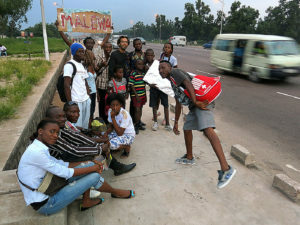 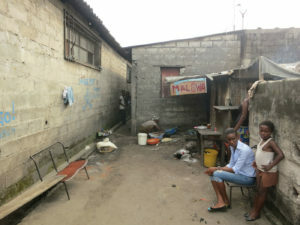 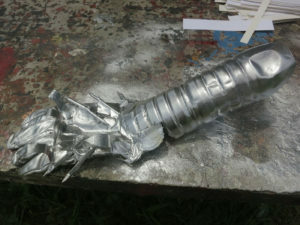 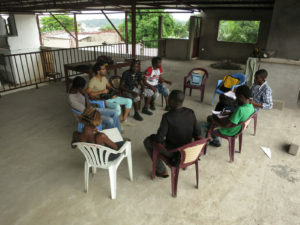 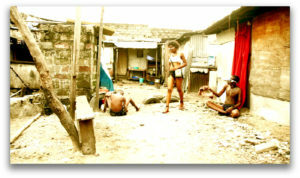 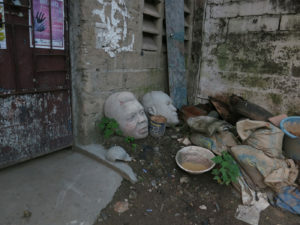 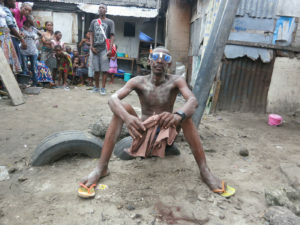 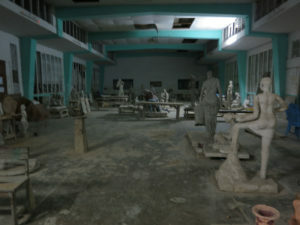 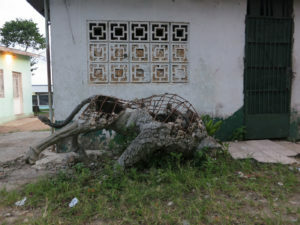 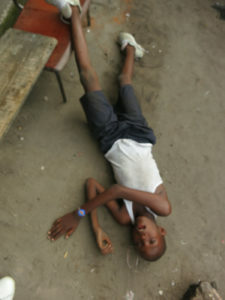 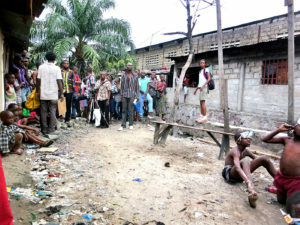 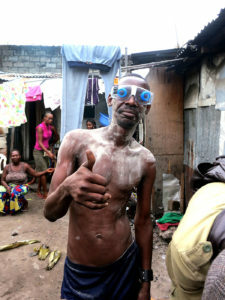 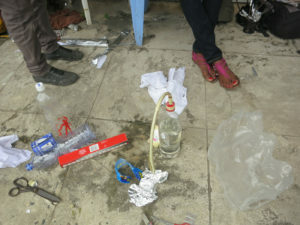 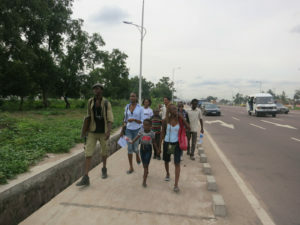 A collective creation that took place in Kinshasa (DRC). 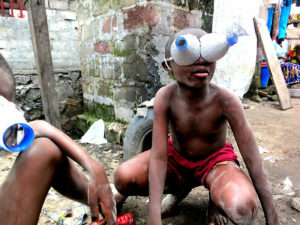 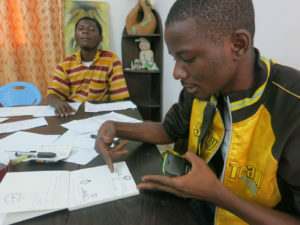 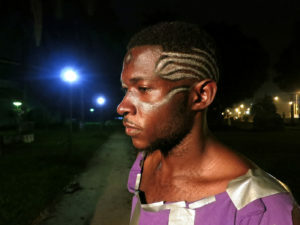 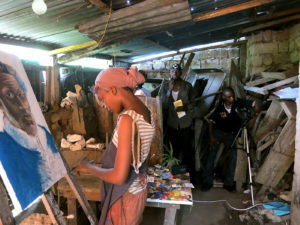 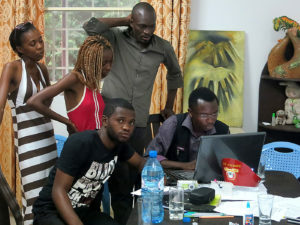 The Future Behind Us documents the process of producing a science-fiction film with a group of young artists in Kinshasa (DRC). 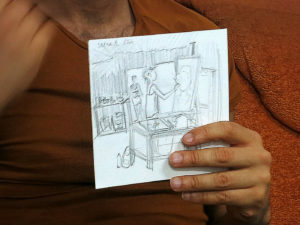 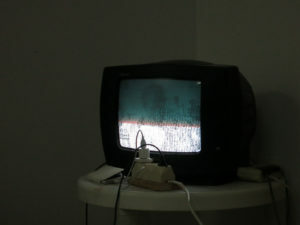 The project explores questions of time, past and present, and collective forms of creation. 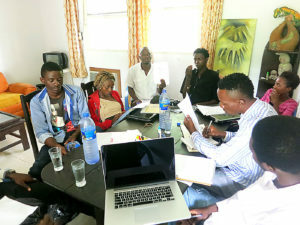 The premise is simple: make a science fiction feature film in three weeks with a group of young Congolese artists, without funding and, for the most part, without an experienced crew or cast. 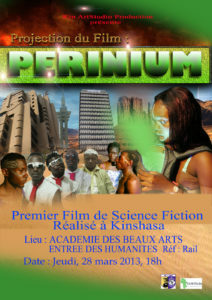 The collaborative adventure culminates in the sci-fi pilot Perinium, a film telling the story of Zai, a young girl who must save the world in the year 3010 with a product called Perinium, a glowing-green substance that has the power to save the world. 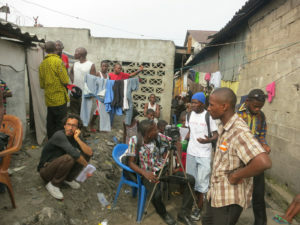 The Future Behind Us aimed to stimulate collective forms of creation by engaging all of the film’s cast and crew according to principles of horizontality, interdependence and transparency during the film’s production; to develop a local structure of artistic self-production by making use of our own financial resources and refusing funding from NGOs; and to create a social utopia by taking on the challenge of producing a film in such a short time and with limited resources. 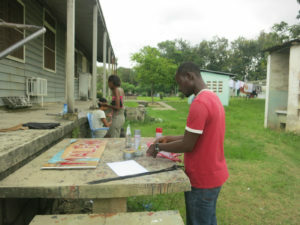 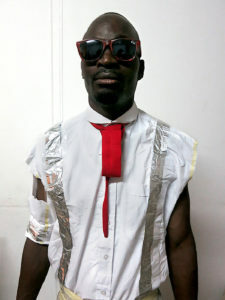 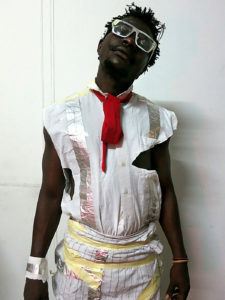 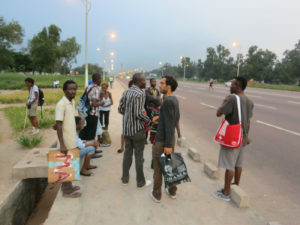 The project The Future Behind Us was initiated by Romeo Gongora, following an invitation from Kin Art Studio, a cultural platform created in 2011 in Kinshasa by the artist Vitshois Mwilambwe Bondo. 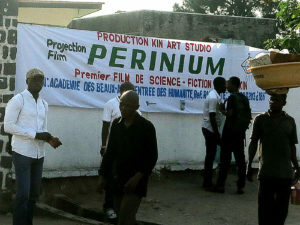 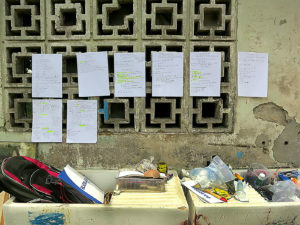 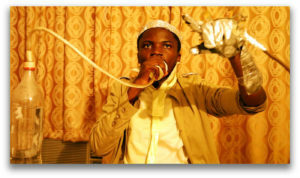 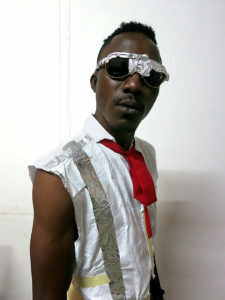 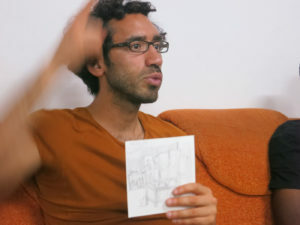 Perinium screenplay was chosen from a wide selection of entries in a writing competition for science-fiction stories organized by Romeo Gongora in the spring in Kinshasa; the winning entry was then adapted into the film by two members of the team, Asia Nyembo and Serge Basila. 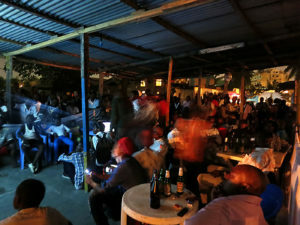 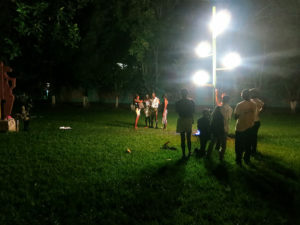 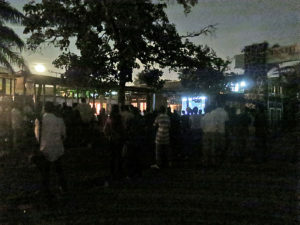 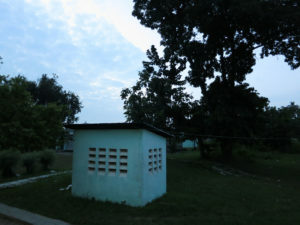 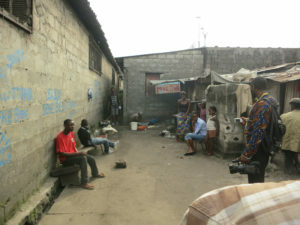 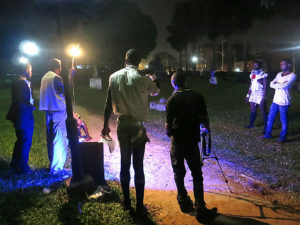 The local media – newspapers and radio stations – created a lot of hype about the launch of the pilot, which was showcased in a public projection on the terrace of a Kinshasa bar. 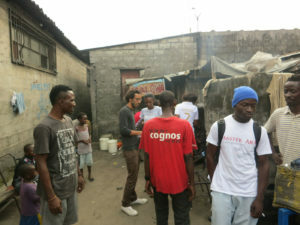 In making this film, Gongora, along with the cast and crew, had the chance to experience the realities of current Congolese life (political, economic, cultural) as a world of science fiction. 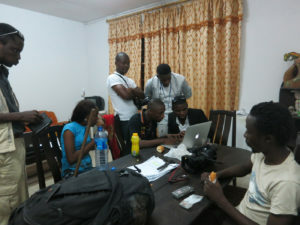 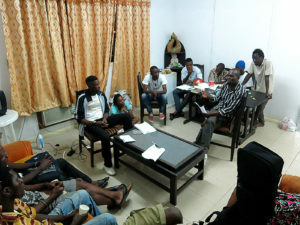 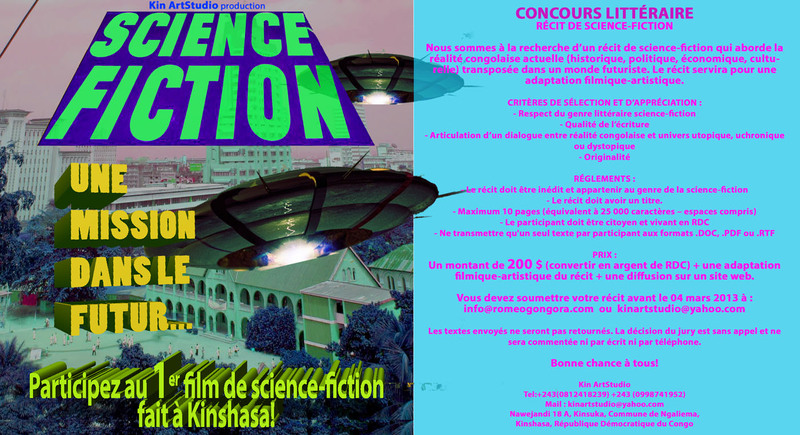 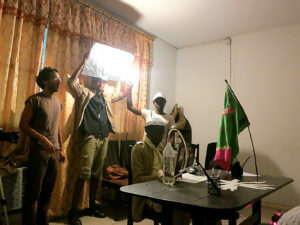 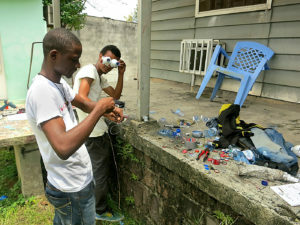 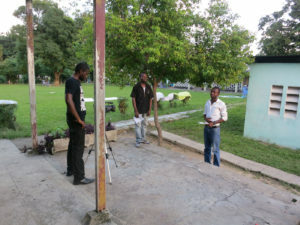 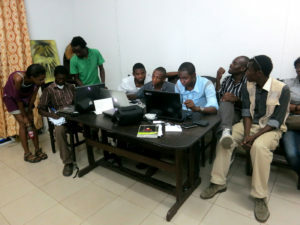 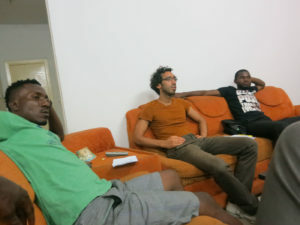 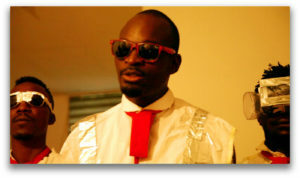 The team proclaimed the finished product to be the first science-fiction film ever produced by and in the DRC. 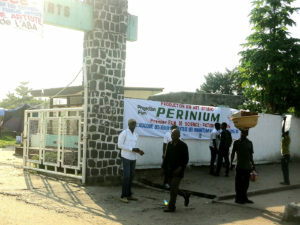 The film Perinium was included in the exhibition Telling Time, curated by Bisi Silva, as part of the Rencontres de Bamako, African Biennale of Photography 2015. 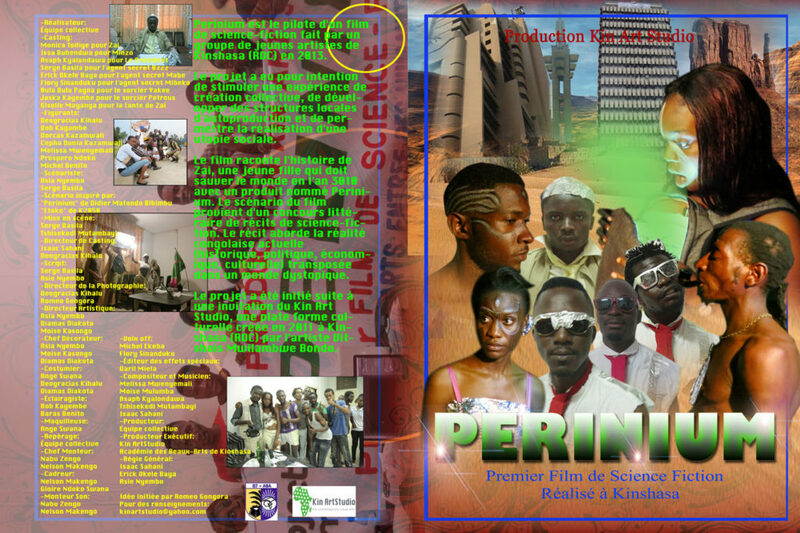 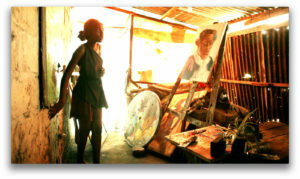 The film Perinium was produced by Kin ArtStudio (DRC) and made by: Monica Toiliye, Glody Buhendwa, Asaph Kyalondawa, Serge Basila, Erick Okele Baya, Flory Sinanduku, Pagna Bula Bula, Joska Kayembe, Giselle Mayanga, Deogracias Kihalu, Romeo Gongora, Bob Kayambe, Dorcas Kazamwali, Cepha Dunia Kazamwali, Melissa Mwenyemali, Prospero Ndoko, Michel Benito, Asia Nyembo, Serge Basila, Tshisekedi Mutambayi, Isaac Sahani, Diamas Diakota, Moise Kasongo, Ange Swana, Baras Benito, Nabu Zengo, Nelson Makengo, Gloire Ndoko Swana, Bob Mukendi, Michel Ekeba, Daril Miela, Melissa Mwenyemali and Moise Mulumba. 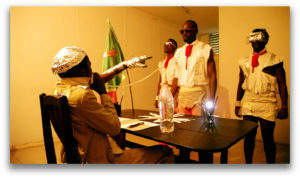 A publication documenting the project and film was created for the exhibition The Future Behind Us at Truck, Contemporary Art Gallery (Calgary, CA) from March 24 to May 13, 2017. 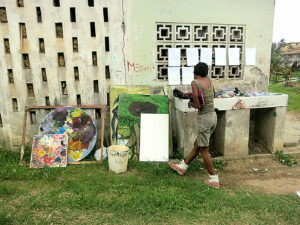 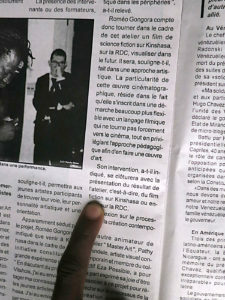 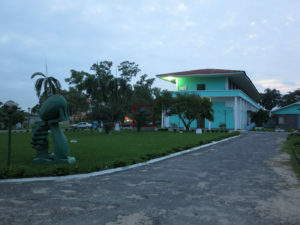 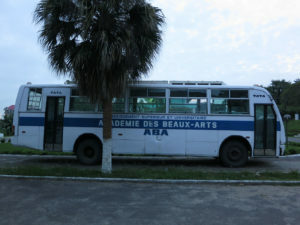 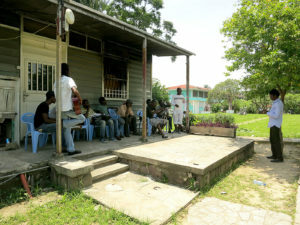 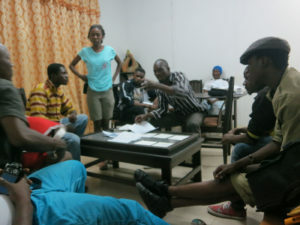 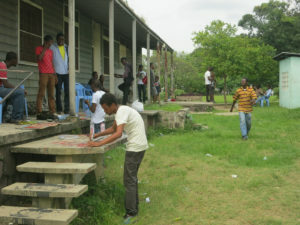 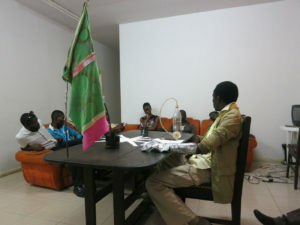 Kinshasa Academy of Fine Arts (DG Patrick Misasi), Vitshois Mwilambwe, Patrick Nzazi, Sylvain Nzuzi, Pathy Tshindele, Moise Kasongo, Junior Nyembwe, Cultural Center Meko, Mboka Mboka.